Despite being a shortened week of Alliance action due to All Star festivities, there was still plenty of movement in the official Alliance rankings. Following their blowout win over Huron-Perth last Wednesday, the Kitchener Jr. Rangers move from the honorable mention slot all the way to #4 in the rankings, their first week officially ranked this season. The Lakers fall to five and the big surprise was the Hamilton Huskies falling out of the top five and into the honorable mention slot. That is surprising to me because their last game was a 1-1 tie with the top ranked team in the association, the London Jr. Knights. Not sure how that result can bump you down from the rankings, but that is how the Alliance does it, not have Alliance Scout does it. So let’s get to the Alliance Scout rankings, which look much different from the official ones released yesterday. London Jr. Knights (1) – A tie against Hamilton and a big come from behind win over Chatham-Kent isn’t how London wanted to rebound from the Silver Stick fiasco, but they persevered and continue to hold onto the #1 spot. London gets Brantford tonight followed by Sun County and Windsor this weekend. Waterloo Wolves (2) – The Wolves no longer hold top spot in the Alliance, but are still right up there with London in terms of talent. No season action for the Wolves this weekend as they’ve got some tough tests ahead with the Gold Puck tournament happening at RIM Park. Elgin-Middlesex Chiefs (3) – The Chiefs hold tight at three this week, but the big test comes this weekend with a home and home series against Hamilton. Whoever impresses most during these two games will probably be sitting at #3 come this time next week. Hamilton Huskies (5) – Unlike the official rankings, their tie with London will put Hamilton up a spot in fourth place. As stated earlier, a big series against the Chiefs could put Hamilton into the top three which would be a huge feather in their cap. Kitchener Jr. Rangers (7) – What a roller coaster season it has been for Kitchener. A few weeks ago they looked like they may not even finish top eight and now they look like a team that could compete down the stretch. Kitchener will participate in the Gold Puck this weekend with their sights set on a tournament victory. Huron-Perth Lakers (4) – The Lakers have fallen hard since Brady Hinz and Owen Gilhula went down with injuries. With both expected to be back around the end of the month, this is a team that will be a nightmare matchup in the first round of playdowns. Windsor Jr. Spitfires (6) – Windsor drops solely because of their inactive schedule last week. They’ve got two this weekend and capping the weekend off with a win over London could push Windsor back into the top contender everyone thought they would be before the season began. Lambton Jr. Sting (8) – The Sting are in a stretch where they will go more than two weeks in between games. That leaves them with lots of practice times to shore up any holes as we head into the final month of the season. Chatham-Kent Cyclones (9) – Nobody had more surprises showings at All Star Weekend than the Cyclones. Both Grant Spence and C.J. Burgess played great for their respective teams and gives hope to Chatham-Kent that they still have a strong chance at making it into the playdown series. Brantford 99ers (10) – Brantford gets right back into the swing of things tonight at home versus London. Not out of it by any stretch, they will need some wins to keep ahead of the surging Panthers from Sun County. Sun County Panthers (11) – As stated earlier, the Panthers are playing some serious hockey as of late. Just six points out of a playdown spot with five weeks to go in the season, the Panthers know the time is now to turn it on. Cambridge Hawks (12) – A tight loss to Elgin-Middlesex their last time out once again proves that Cambridge is vastly improved from the team that showed up to the Alliance Showcase in September. Hawks are in Waterloo for the Gold Puck this weekend while looking for win #1 on the season still. 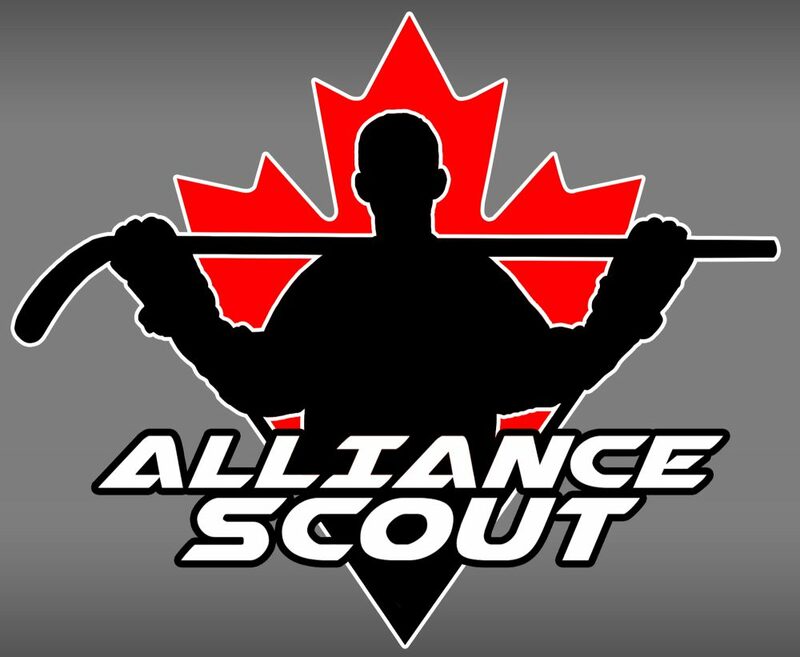 This entry was posted in Alliance Rankings, Alliance Scout, Brantford 99ers, Cambridge Hawks, Chatham-Kent Cyclones, Elgin-Middlesex Chiefs, Hamilton Huskies, Huron-Perth Lakers, Kitchener Jr. Rangers, Lambton Jr. Sting, London Jr. Knights, Sun County Panthers, Waterloo Wolves, Windsor Jr. Spitfires and tagged brady hinz, cj burgess, grant spence, owen gilhula by Dave Coulson. Bookmark the permalink.